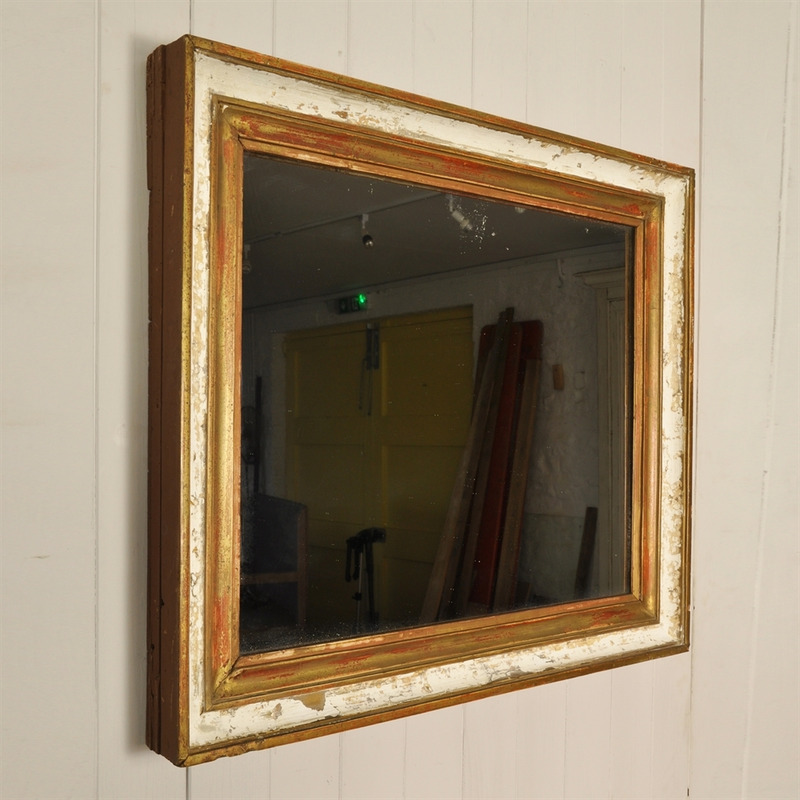 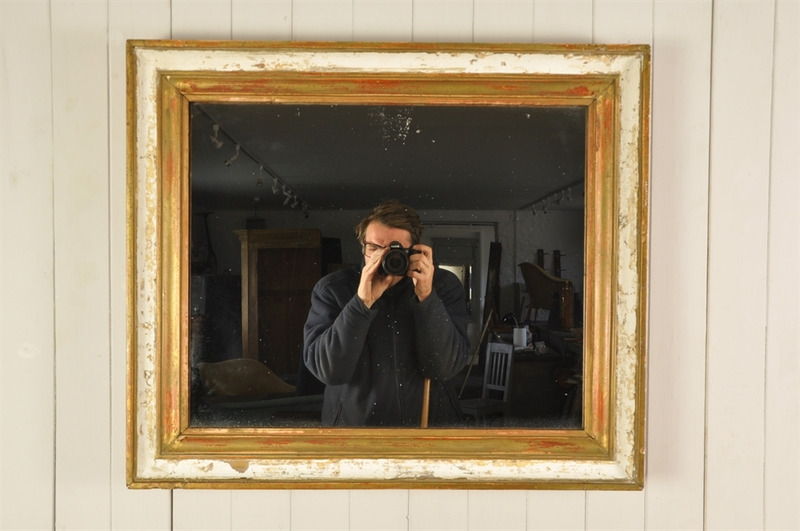 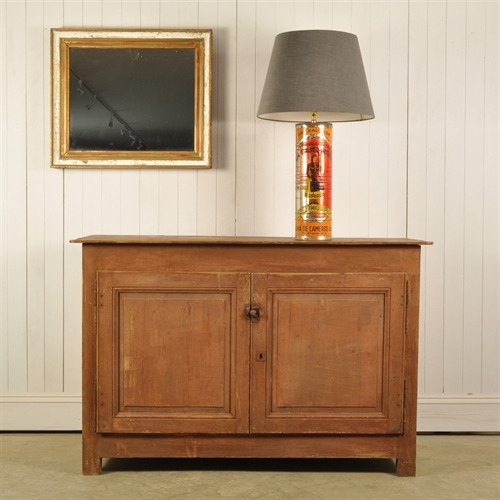 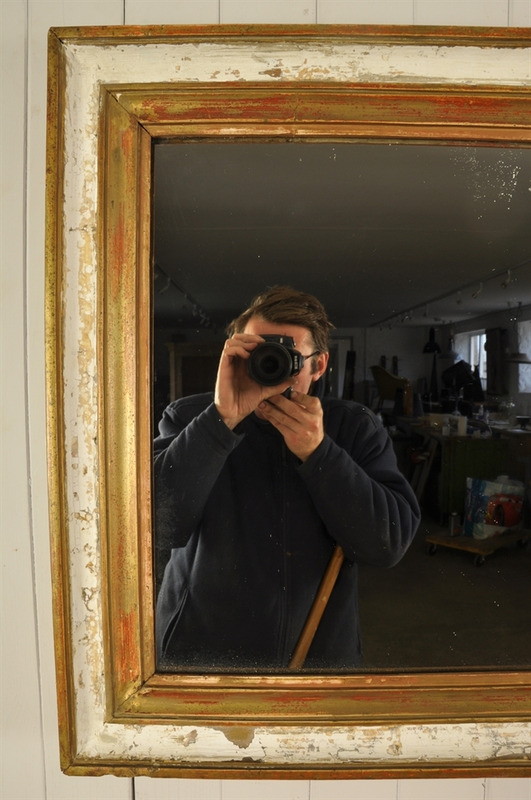 Sourced in France this antique mirror was originally totally gilded. 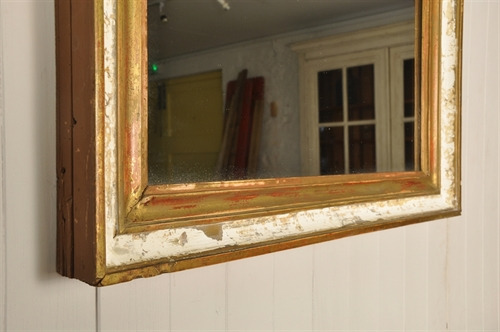 Much of the gilding has worn off over the years producing this wonderful finish and patina. 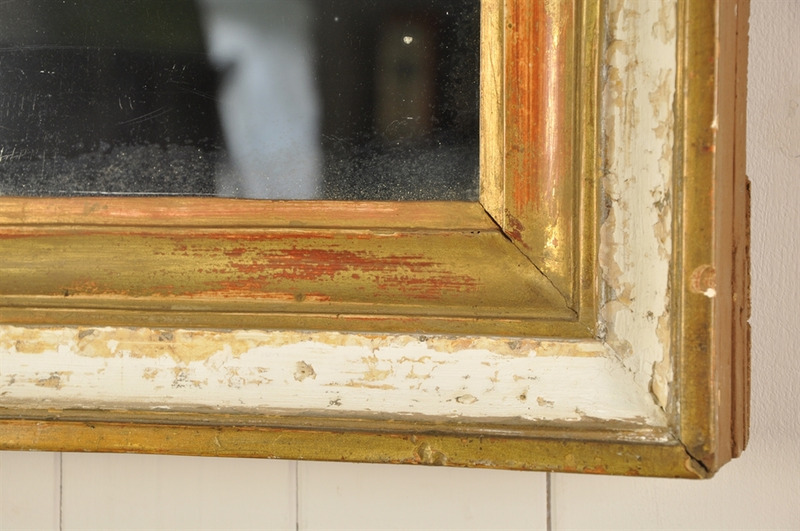 A few bumps and scrapes to the frame and some patina to the original glass. Can be hung either way. Landscape 64.5 cm h x 74.5 w.